I am really not much of a runner. But I do enjoy going on walks or jogging every now and then. 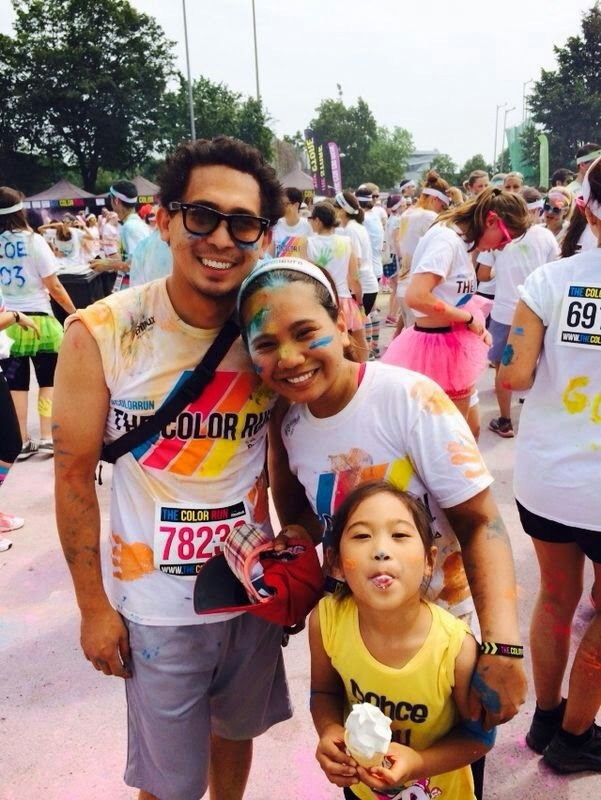 A friend suggested that we join The Color Run as a group and because the promotion on Social Media looked so much fun and interesting, we registered. 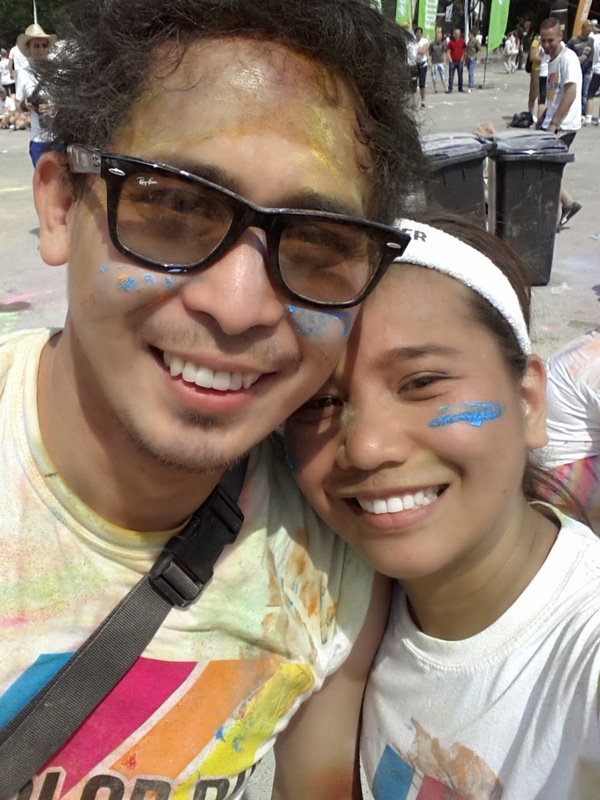 And so on a fine Saturday in July, we readied ourself for an afternoon of colorful fun. And indeed it was! My expectations were more than met. 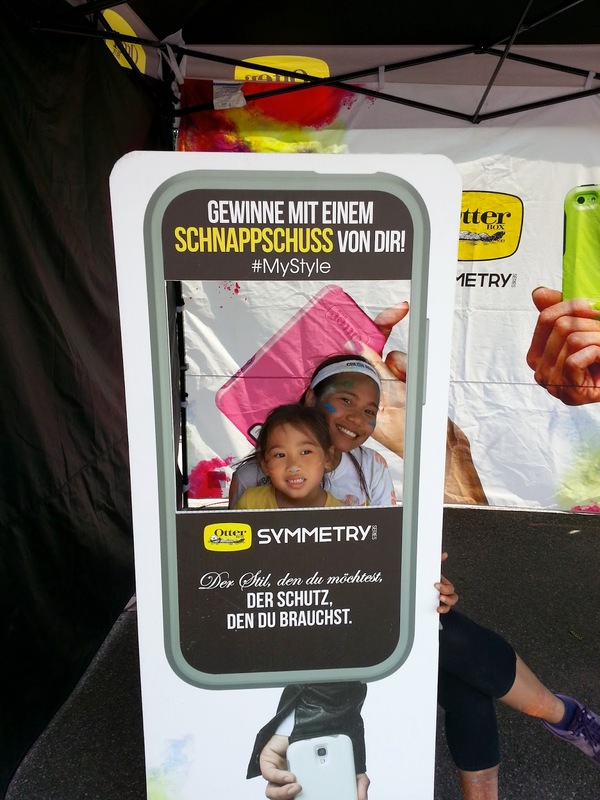 It was more fun and interesting because I did such a "sporty" activity with family and friends. 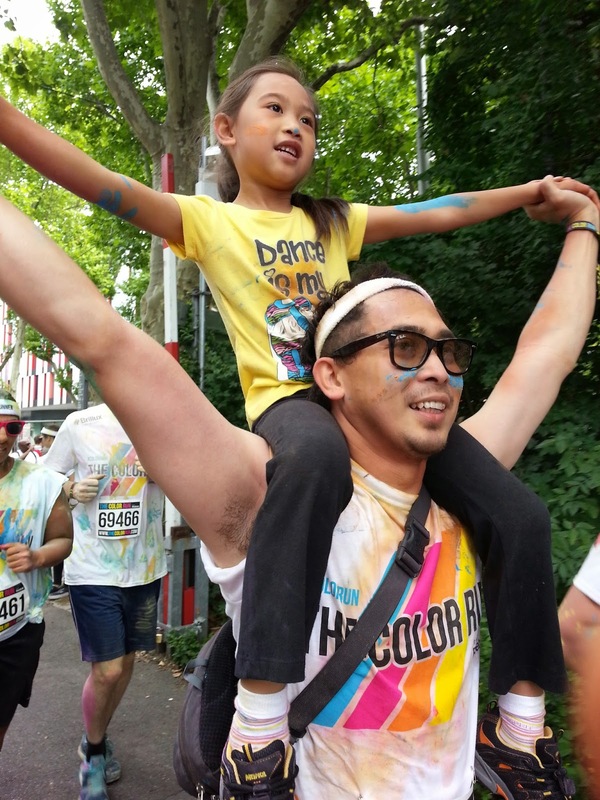 My little girl, who was very reluctant at first, also ended up enjoying the run-walk-piggyback 5K. 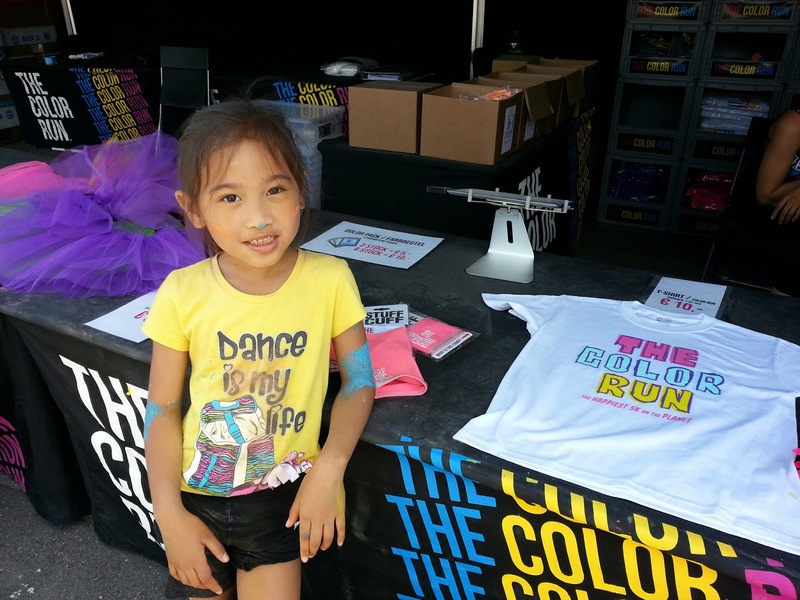 People of varying age groups joined in "the happiest 5K on the planet". We passed by some old people who were still very fit to run for it. Parents with their small children on buggies. Kids who are too lazy to walk on their dad's shoulders. 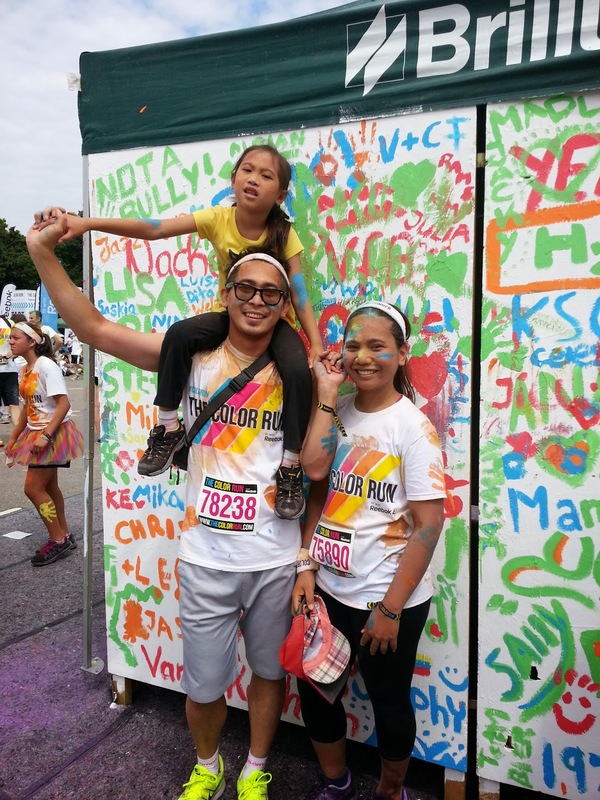 Well, one of them would have to be my little girl... but I still beam with pride as I recall the three of us running hand in hand as we neared the finish line. 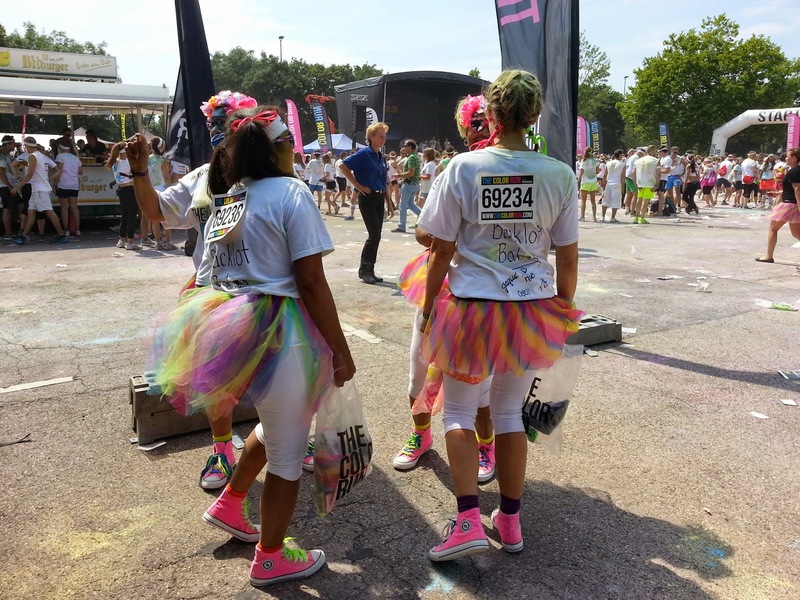 And of course a majority of young people outfitted in the official Color Run shirt worn and styled in different unique ways. 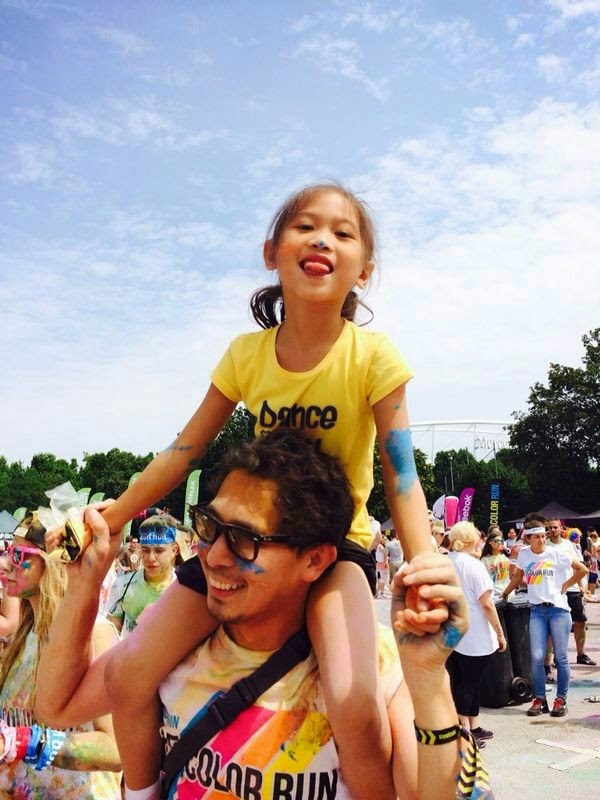 There is no denying the photos that we had so much fun! Until next year then. 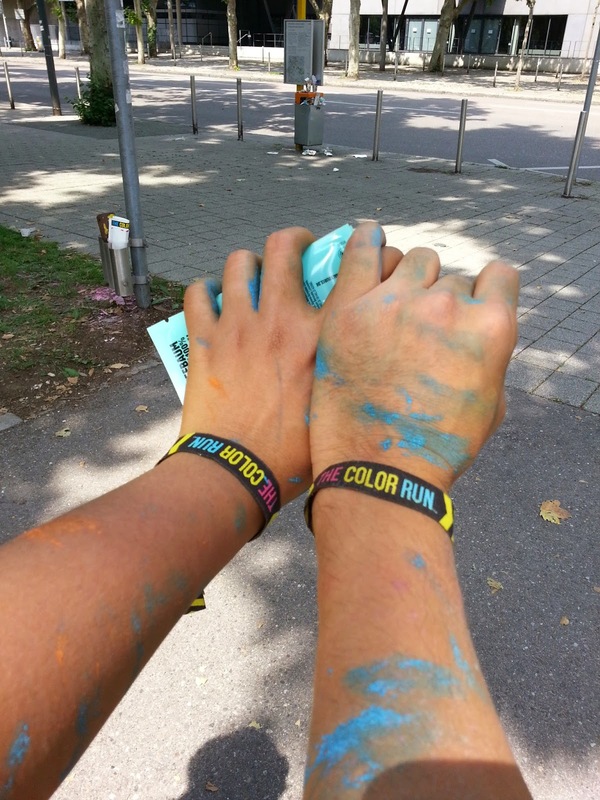 I hope The Color Run, organized by Reebok, will still come to Stuttgart in 2015 so more from our circle can join.